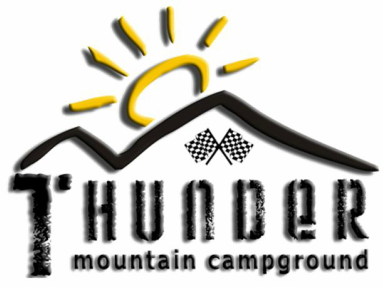 Thunder Mountain Campground is located a quarter of a mile from the world-famous Bristol Motor Speedway in beautiful Bristol, Tennessee. Our campground is 138 acres of natural green landscape with beautiful scenery. We offer everything from full hook up sites with 30 and 50 amps and plumbing, to primitive tent camping. You can also rent one of our fully furnished turn-key villas with two bedrooms. We can accommodate large campers and we even have pull through and shaded sites available. Our large and clean shower house has amenities for men and women. Thunder Mountain Campground has its own restaurant and brewery as well! Holston River Brewing Company is located on the property! If you are not a craft beer drinker, we have a selection of domestic beer just for you. You can enjoy nightly entertainment in the brewery on our state of the art stage, some of our fun outdoor activities or just relax by the creek and listen to the water rustle. We offer a free shuttle to the track on event days. Make your RESERVATIONS to book your campground site online or call Sue at (423) 361-1572. We can’t wait to see you!